LOCATION, LOCATION, LOCATION! Are you looking for a BEAUTIFUL INNER CITY home in a SUPER CENTRAL location? 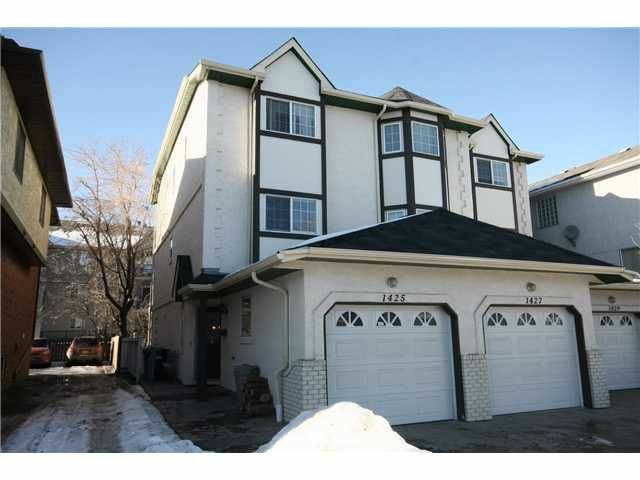 This amazing 3 Storey home boasts tons of features! Main Floor features a GOURMET Kitchen with GRANITE COUNTERTOPS & STAINLESS STEEL APPLIANCES, Ceramic Tiles, LARGE DINING area, and BIG Patio doors that leads you to your own CONCRETE PATIO & a BIG Backyard MATURE TREES! Half Bath & Laundry & a MUST HAVE Single ATTACHED GARAGE! Then make your way to the 2nd Floor where you'll find GORGEOUS LAURENTIAN HARDWOOD Floors Throughout, a LARGE Living Room with a Corner Mantle Fireplace that SPANS past 2 Storeys into VAULTED Ceilings! A HUGE BEDROOM and A FULL Bathroom completes this level. Go on to the third level where you can retreat to your LARGE MASTER BEDROOM with 2 CLOSETS & an ENSUITE BATH with a JACUZZI TUB! Or RELAX with a book in the BIG LOFT SPACE with a LARGE CURVED JULIET BALCONY Overlooking the 2nd Floor. CLOSE to TONs of AMENITIES, EATERIES, PUBLIC TRANSPORTATION & even walk to DOWNTOWN!